The holidays are considered to be one of the most wonderful times of the year. However, your skin, hair, and body may say otherwise. The combinations of foods and drinks, holiday parties, and travel may be wreaking havoc on your body, creating a need for a serious detox. Here are 4 of my favorite things to do to get me back on track once the New Year rolls in! Drink Water... Lots of It! The holidays bring all sorts of foods and drinks that we don't normally consume, making water the last option on the list. These drinks are often dehydrating and the foods are fattening, which can have a negative effect on your skin, hair, and body. With that said, it’s important to drink lots of water to flush out your system of any toxins, hydrate from the inside out, and increase energy! Water also helps to keep skin plump and hydrated, which keeps wrinkles at bay, and it also aids in keeping your hair healthy and hydrated from the inside out. It’s one way to give your complete body a jumpstart on the right track. The holidays are perfect for spending time with family and friends; however, our hair can suffer during this time due to style manipulation and/or negligence. Because you are spending time with your loved ones, you may fail to properly care for your hair, causing stress and unnecessary damage on your strands. This is why some extra TLC is necessary! Once the holidays come to a close, you may want to nurse your hair back to health with a strengthening and moisturizing treatment, especially if you have been heat styling your hair and/or manipulating it more than usual. Hair needs a proper balance of protein and moisture to grow long and healthy, so it’s imperative to provide your hair with those as soon as you can. My favorite at-home treatments are the ApHogee Two Step Protein Treatment and the Mizani True Textures Intense Moisture Replenish Treatment. My hair has little to no breakage after using the ApHogee treatment, and my hair is soft, moisturized, and supple after using the Mizani moisture treatment. It’s a great way to get your hair back on the road to recovery! If it has also been some time since your last trim, you may want to schedule one as soon as possible, so you can start the year off right. Your hair should be trimmed every 3 months to maintain your shape and dust your ends. After you get a trim, you may want to create a reminder for yourself, so you stay on the right track all year long. 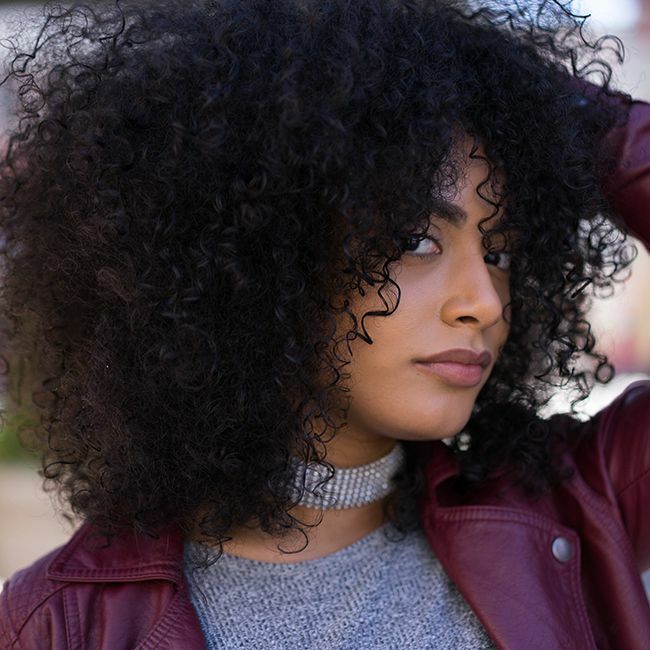 We love pampering our curls with deep moisturizing treatments, but your skin may also be suffering during the holidays due to various foods and drinks, traveling, and a bevvy of other reasons. But it doesn’t have to look like its been put through the ringer! To keep your skin on track, you should always remove your makeup before bed, thoroughly cleanse your face, and moisturize no matter your skin type. Makeup can clog your pores and lead to wrinkles as well as breakouts, so it’s important to thoroughly cleanse your skin to prevent early aging. You may want to incorporate an exfoliator and face mask or two into your regimen as well. Exfoliators remove dead skin cells, which can make skin look dull and flaky. Thus, it’s important to exfoliate to keep skin soft, smooth, and glowing. There are a variety of facemasks out there that cater to various concerns. I suggest doing your research first then grabbing one that caters to your skin’s needs. For me, I love to detox my skin to get out any toxins that may not have been picked up by my cleanser. My favorite mask is the Origins Clear Improvement Active Charcoal Mask. It gives me a deep clean and reveals clear, healthy skin. There are so many activities and parties that go on during the holidays, which may have you keeping late hours. Hence why sleep is so important! We should be getting at least 7-8 hours of sleep a night, during which your body recovers from the activities of the day and your skin, has time to regenerate and renew, amongst other things. Proper rest allows us to live happy, healthy lives, so it’s important to get back on schedule once the holiday festivities die down. These 4 tips are some great self-care ideas to get you back on track once the New Year starts. We all want to enjoy the holidays and have fun with the ones we love, not look like the holidays got the best of us!